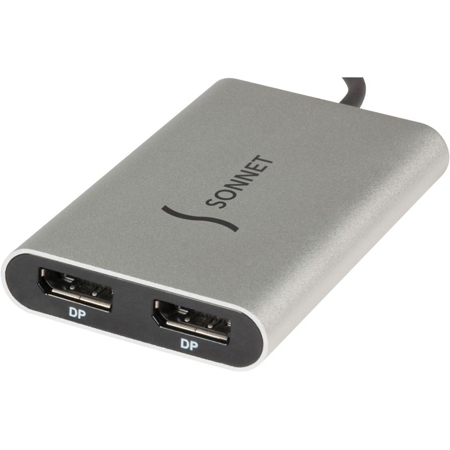 Sonnet’s Thunderbolt™ 3 to Dual DisplayPort Adapter is certified for use with both Mac® and Windows® Thunderbolt 3 equipped computers, and enables you to connect one or two larger displays to a single Thunderbolt 3 port on your computer(1). With the adapter connected, you can connect up to two 4K @ 60Hz DisplayPort (DP) monitors, or one 5K @ 60Hz DP monitor. Whether you need to view your work on a large UHD display or across two displays, or you need to view it with the highest resolution possible, this Sonnet plug-and-play adapter enables you to work more efficiently. With two displays attached, you can fill one with full-screen workspace, and use the other for tools, other applications, and more. To use it, simply plug in the Sonnet Thunderbolt 3 to Dual DisplayPort Adapter into one of your computer’s Thunderbolt 3 ports, and connect DisplayPort cables (sold separately) between the adapter and your monitors. 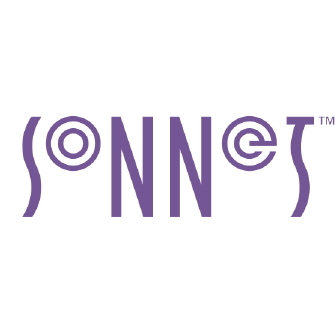 Your computer powers the Sonnet adapter, so there’s no need to connect an additional power adapter. 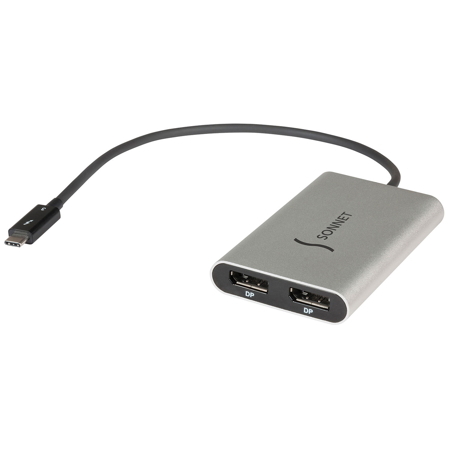 Thunderbolt Certified for Mac® and Windows®, the Sonnet Thunderbolt 3-to-Dual DisplayPort Adapter can be used with the latest and best computers available. If you need to connect a monitor without a DisplayPort (DP) input, the Sonnet dual DisplayPort adapter is compatible with active DP-to-HDMI, DP-to-DVI, and DP-to-VGA adapters. And, unlike USB adapters, the Sonnet adapter won’t drain system resources that might impact your computer’s performance. Although the Sonnet adapter supports one monitor with a 5120 x 2880 resolution (5K), or two monitors at resolutions up to 4096 x 2160 (4K), you can also use it to connect monitors with lower resolution, like full HD 1080p (1920 x 1080) or 1920 x 1200 monitors. This makes it great for use for different home and office workspace applications. And, with built-in audio support, there’s no need for you to connect an additional cable to hear sound from the monitors. 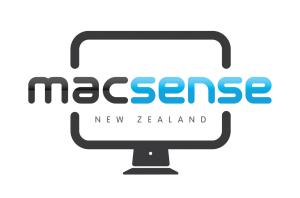 Enables You to Work More Efficiently – Fill one display with full-screen workspace; use the other for tools, other applications, etc.